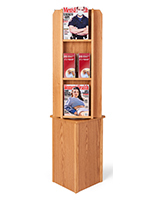 The revolving literature displays for waiting rooms are also great in libraries and in retail settings. 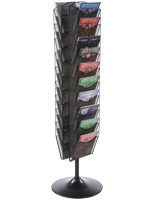 The spinning holders can be used in art stores to showcase specialty paper and in reception areas to keep reading materials neat. 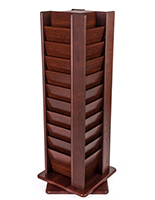 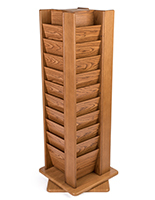 The revolving literature displays, called spinning magazine racks, are finished in a neutral tan shade to help it accentuate many styles of décor. 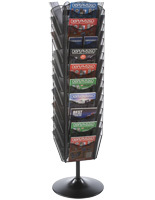 The steel periodical holder is durable and will last for years to come. 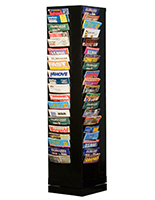 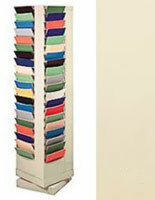 The flyer pocket stands, revolving literature displays with 80 pockets is 61" tall and a great height to promote customer browsing. 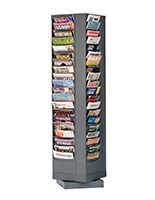 The revolving metal holders are easy to assemble, needs no tools, and can be done in minutes.